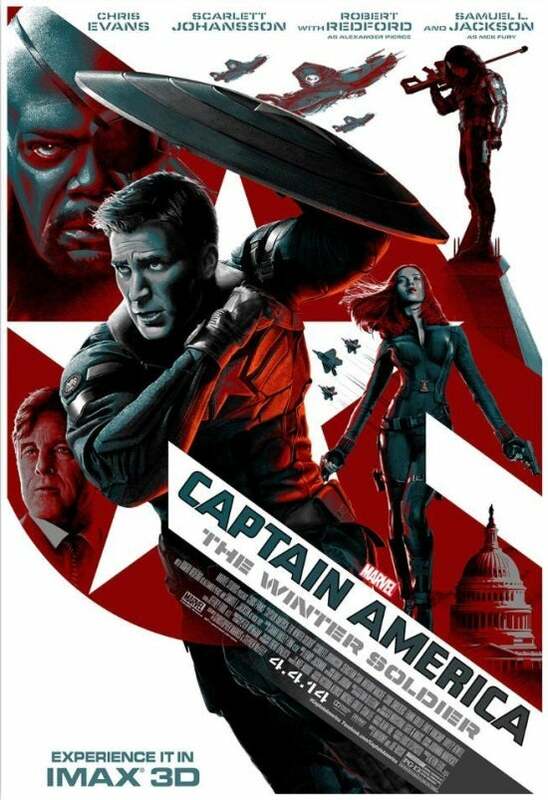 With Captain America: The Winter Soldier making its way to video, the franchise is once again on everybody's mind. Composer Henry Jackman put together the film's score -- one of the most memorable yet for a Marvel movie, with a blend of more modern sounds and traditional superheroic scores. The film, which is available in HD on video-on-demand, streaming and Disney Movies Anywhere and will be available on disc and in SD streaming September 9, is the sequel to Marvel Studios' lowest-key movies, with a respectable box office and solid reviews but not like you'd expect from Marvel...but the studio has so much faith in Winter Soldier, the year's biggest domestic hit so far, that they've already greenlit a sequel -- with the same directors and writers, so there's a better-than-good chance Jackman will be asked back (not that he could speak to that himself). 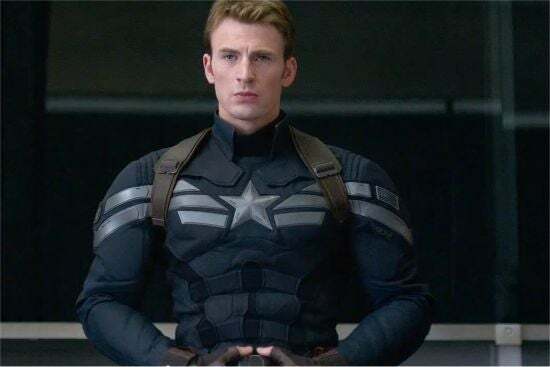 Jackman joined ComicBook.com to discuss the unique challenges of Captain America: The Winter Soldier and talk about what he liked about working with the Star-Spangled Avenger. You can see our first conversation with Jackman, released around the time the film was going into theaters, here. 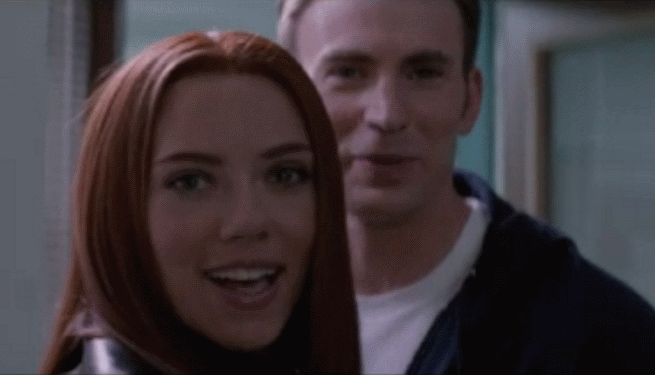 How do you make Captain America feel relevant to 2014? That was a real challenge -- to come up with melodic and lyrical material that you need to be triumphant and you need to be in keeping with a superhero aesthetic, but placing it in a context where it feels contemporary and doesn't feel like you're harking back to a different era. That was an interesting challenge -- also some of the adversaries. I did something really, really radical for the Winter Soldier because when I first looked at the footage, I was like, he's a kind of mechanized, crazy, violent, unstoppable, rampant kind of half-being. I remember thinking to myself I don't want it to be just an orchestral piece of music. I said, "I should make a record of the Winter Soldier's theme -- just a six-minute record. I should do something radical and just see what they say." It may not stay like that, but at least if I do that I'll come up with a musical identity for the Winter Soldier that's a long way from the expected and the orchestrally sort of generic. So I just said, let's do that and if they like it they like it and if it's too radical, we can pick and choose textures and ideas from it without going the whole way. So it's on the CD. I did this one track away from picture and I just wrote this piece that in my head I was thinking like producing a record that's got like drum and bass influences and dubstep influences but still haunting and mechanized and dramatic. And they went for it! They really liked it so on the one hand you've got these thematic, orchestral elements that you need for Captain America being a hero in the grand tradition of superheroes but on the other hand you've got villains who sound much more contemporary and the whole story is set in a contemporary context. So it's all mixed together. When you're talking about crafting these things, is it difficult to ground Captain America in a contemporary story without stealing something from what makes him special? That's an interesting question. The trick was to sort of find a way to write heroic music that didn't sound historical or pompous but is still thematically bold and strident and all the rest of it and ultimately comes from symphonic music. It can't end up sounding like Brahms or something but I think the trick to it was to deconstruct the theme so that it's not comprised of hundreds of notes and isn't full of rhythmically-fast figures. I ended up with a strong, sort of slightly powerful tune. One of the things I'm always inspired by is a composer called Richard Strauss. I love listening to Richard Strauss tone poems. They're completely over the top, those huge, Austro-Germanic tone poems. One of the things I love in Strauss's writing is that you get these huge leaps in the brass particularly the horns and it's always super heroic where the interval gives you these leaps but of course in Strauss, off you go and he's rattling off notes at the rate of a hundred miles an hour. So I remember thinking to myself, there's something about the heroic leap. If you're looking at it like architecture, instead of building an entire idiomatic and complete classical building with all the porticoes and all the columns and all the pillars so it looks like ancient Rome, what we need do is steal two or three features from classic architecture and go make a modern building but it has these features much more spaced out on them. So I ended up sort of stealing the heroic leap from Austro-Germanic tone poems but then not having tons and tons of notes. It's sort of like a deconstructed tune that has heroic history to it but without all fo the historical baggage in the orchestration. I found that to be effective because there's something about heroic horn lines if they contain just enough of symphonic history but not too much that it sounds antiquated, it resonates and it sort of rings your bell. Most people through films or through listening to music have got a repertoire of music that's just lurking in your subconscious so when you hear even slightly deconstructed version of symphonic gestures, it kind of arouses the same kind of heroic intention but without all of the baggage so you don't feel like you're at the Walt Disney concert hall listening to a piece of classical music. That ended up being the solution for me. The other thing I was interested in was the notion fo the Winter Soldier as a character who you have to handle differently than most villains because he's a character who's very sympathetic. That's very true and there's an arc to it. Because there's a human element to the Winter Soldier that gets revealed toward the end of the film, the Winter Soldier starts off unrelenting and brutal and mechanized and almost Terminator like but the difference between The Winter Soldier and Terminator is that somewhere behind the wires and all the mechanization is a character that we know and we care about and that more importantly, Cap knows about and it's very painful to him. So one of the things I ended up doing with the Winter Soldier was I spent literally ten days just on production with vocals because I wanted to get the sensation of a human trapped inside machinery. So I did a lot of vocal recordings and then processed the living hell out of them to get these tortured, time-stretched human cries of someone who has been so processed that it's become mechanized at the same time but you can still hear the human in there. Did you look to the Avengers and Agents of S.H.I.E.L.D. scores to help you craft an identity for the organization? No is the really simple, one-word answer. The thing about Joe and Anthony [Russo], working with them, is their vision for this film...they have a certain amount of responsibility just in terms of coherence but because they've sort of quite masterfully handled that within how they put the movie together, they managed to put a protective aesthetic umbrella around the whole film where it works all of the conceptual things are all there...but the actual tone and feel of their film has so much of their identity. It definitely sits absolutely in the Marvel gamut of films but they almost managed to relieve me of worrying about that by having such a strong identity in the film they were making. I liked the fact when I watched it that Captain America: The First Avenger felt different from another Iron Man movie and kind of shrugged off the Marvel "house style" a little bit. The fact that the aesthetic of the film actually works because it's not just a self-conscious gesture from directors who would try to take a creative stand. The fact is the story itself demands that new aesthetic because whereas captain America completely inhabits that space in the first film, he is kind of a fish out of water in the second film because growing up with the values he had and the kinds of things he was getting up to in the first film, he suddenly finds himself in Washington, D.C. in 2014. It's inherent in the actual story that he finds himself in a different environment and that environment is necessarily sound and look and feel different and that's kind of celebrated in the film. What's so celebrated about the performance from Chris is that i'ts the same Steve Rogers and by Act Three, there's quite a few shame-faced people thinking we should have listened to Cap because despite the changes and despite everything being different, there's something about Captain America that has not changed at all from his basic set of humane and somewhat idealistic, virtuous values and he holds onto those despite the fact that everything around him has changed. That's what makes it powerful because there's that tension. And at first, he's a little sunken-in. He's trying to find his feet and then by the end of the film it turns out that his way of looking at the world should have been listened to all along.